"The body is the translator of the soul into the visible”, the poet Christian Morgenstern once said. Today, few would doubt that there is a strong link between the two units of body and soul. But the essential question is: how can this knowledge be transferred to integrative bodywork? I like to speak in terms of our “body memory". Just think back with me: do you remember your first years of life…your first words? The goodnight song as you lay in your cot? No? Well, I feel the same. But in fact, everything you experienced and felt at that time is stored in your body. Professional literature talks in terms of "implied memory" or “body memory". This includes all past sensory, motor and emotional experiences. As you can imagine, a wealth of knowledge is contained here. But not only that; our body memory communicates with physical reactions, and has an immense influence on our experience of the world in the here and now. Time heals all wounds, as the saying goes. But is this really the case? Psychotherapists respond with a clear “no”, because, in fact, experiences, both good and bad shape our lives decisively. In fact, every person is exposed to stress at some point in life. This can be triggered by very different factors: pain, fear, overwork or inappropriate behaviour, for example. A brief moment of stress is not a tragedy. But it can have fundamental consequences when we are at the mercy of a stressful situation over a longer period, like a helpless baby for example. This, at some point necessary survival strategy, turns unconsciously and insidiously into a life strategy. The result: a lasting feeling of emptiness and powerlessness, coldness and subdued emotions. People often restlessly search for something, without really knowing what they are searching for. They are driven by the desire for a fuller life. Relationship problems, depressive phases and illness may result. What happens then is referred to as “alienation” by psychoanalysts. We try to adapt to the circumstances out of self-protection. This happens by alienating ourselves from our inner core. If this becomes a habit, we gradually hide our inner perception. This means that we no longer vent our feelings of love and lust, anger and pain, but we allow them to control us unconsciously. Why? Because our body awareness, feelings and intuition transform from a source of strength and vitality for us into a threat. We also begin to look at ourselves through “the eyes of others”. But what we are now experiencing is confusing because our two different images collide. The view of others, and social concepts are no longer in harmony with our inner selves. As a result we feel stressed and somehow dissonant. What happens as a consequence confirms the theory of the psychoanalyst Wilhelm Reich - namely, that mental disorders can trigger physical reactions. Physical blockages manifest themselves as chronic tension or sensory disturbances; our breath flattens, we suffer from sleep deprivation. Reich described this as "body armour", which wraps around our inner living core. Body-oriented psychotherapy aims to reverse the alienation described; to restore contact with our inner self and regain our harmony. SKAN is based on the assumption that emotions form the basis of any experience - and therefore also change personality. Memories that are not accessible at all, or not easily accessible in everyday life are lifted out of our body memory into our consciousness. So, bodywork sets forgotten or suppressed emotions free. I want to help you to reclaim your vibrancy and vitality, your own body and its connection to itself. I want to show you ways to calm overwhelming feelings. We will discuss everything you experience during the sessions afterwards. 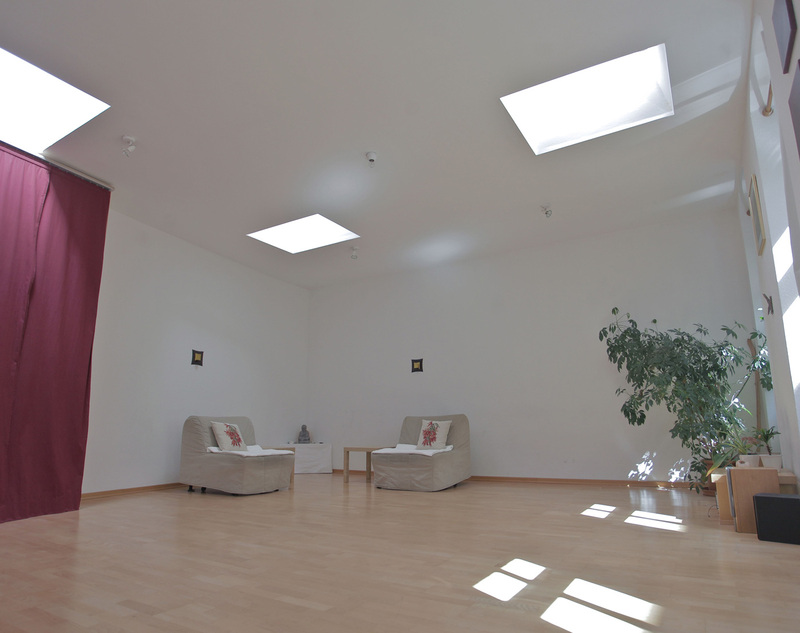 You find my SKAN body therapy practice in Berlin Neukölln.